Get Your Copy of "The Definitive Guide to Affiliate Marketing"
The affiliate marketing landscape has drastically shifted over the past couple decades. Gone are the days of brands being forced to join a network to access affiliates. 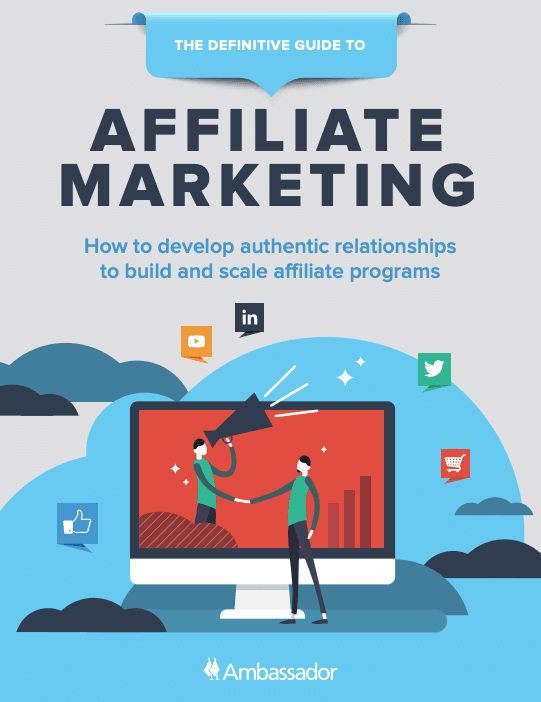 Today, more and more savvy marketers are taking ownership of their affiliate marketing strategy and are able to develop better working relationships with affiliates. So when it comes to building out a successful affiliate program, what’s the best way to approach this marketing strategy? Copyright © 2019 Ambassador Software - a West Company.